A culinary heritage centuries old is preserved in this cookbook. This is a Jewish collector’s cookbook. 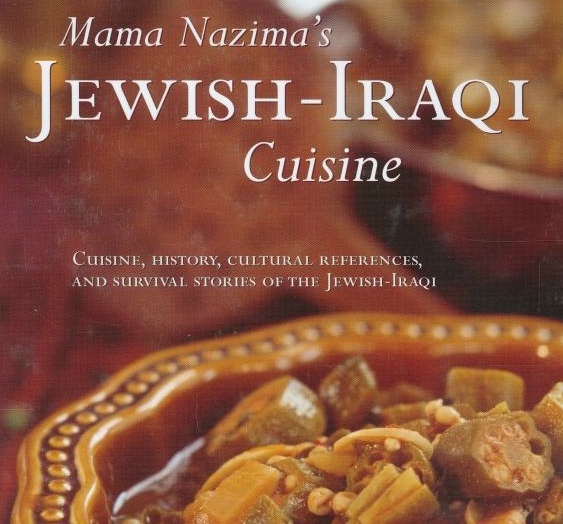 It contains 100 old-fashioned recipes that evolved out of the centennial Jewish presence in Iraq, plus a synopsis of Jewish history there. Through the book run parallel threads, the main one being the recipes. Around the recipes are comments and traditional Arab proverbs revealing glimpses of the old Jewish-Iraqi culture. Another is the author’s memories of her mother, to whom she dedicated the book; and a third, Iraqi anti-Semitic persecution culminating in a pogrom in 1941, and the community’s exit from their ancient home in 1950. The recipes themselves are appetizing and easy to follow. The author lays great claim on the healthiness of the food, which is easy enough considering that almost every recipe includes fresh vegetables. I was pleased to see two variations on majadra, a combination of rice and lentils. Most of the desserts are based on fruit, such as date-almond balls and apple-cinnamon rolls. There seems to be a great love of stuffed foods in Iraqi culture. There are stuffed vegetables and leaves, turnovers stuffed with chickpeas or meat, kibbeh dumplings filled with meat or fish. One chicken recipe calls for a stuffing composed of meat and spices. There is even a fruit stuffed with meat: quinces. And the seasonings featured call to mind all the exotic flavors of the Orient. Cumin, ginger, cinnamon, cloves, hot paprika, cilantro and garlic are some. However, I found mistakes in the recipes. The savory turnovers call for 1 cup of water and 2 of flour, which would produce a thick batter rather a dough. I added another cup of flour and my chickpea turnovers came out fine – I concluded that a typo had been allowed to go uncorrected. This is a problem, because it’s repeated with every savory turnover recipe, and there are three. A recipe for sweet turnovers stuffed with nuts and honey is missing the flour for the dough until you look at the stuffing ingredients, and there is the flour. These mistakes are annoying and have probably made inexperienced cooks create some strange variations. The photographs add little, being small, blurry, and for some reason all a monochrome green. People interested in Jewish cuisine and culinary history will find this cookbook worth having. But I advise reading through each recipe carefully before tackling it, and using your sense if something doesn’t look right.